The Cuisinart FP-11/FP-11GW food processor is designed to perform just about any food prep task a recipe calls for. It is big enough to chop ingredients for a party-sized portion of salsa, and powerful enough to turn a full work bowl of veggies into healthy pureed soups in seconds. Rubberized touch pad controls, and reversible shredding and slicing discs make this food processor a favorite of creative home cooks! ; Cuisinart elemental 8 cup food processor, silver. The Cuisinart 11-Cup Elemental Food Processor - Glossy White has many exciting features for users of all types. 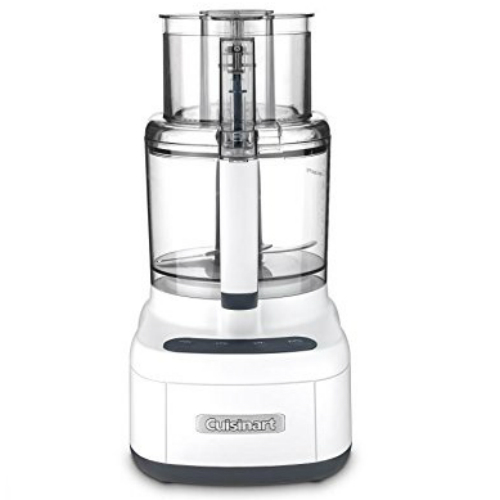 You can extend the lifetime of your Cuisinart 11-Cup Elemental Food Processor - Glossy White with the purchase of a FactoryOutletStore Factory Protection Plan. 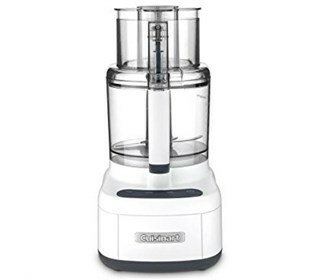 The Cuisinart 11-Cup Elemental Food Processor - Glossy White is sold as a Brand New Unopened Item.